"One man - Chris Froome - is pre-eminent. He has won four of the last five Tours, is the current holder of every Grand Tour title, has dominated all his rivals in recent years and, after the recent announcement clearing him of any wrongdoing in a long-winded doping case, will be able to focus all his attentions on winning a record-equalling fifth title..."
Last time in this How-To-Win series, we looked at the vagaries of stages, breakaways, and the peloton, even pausing on route to take in a mathematical formula that can help with in-play punting. Of most betting interest, though - for the wider press and public at least - will be the outcome of the battle for the Yellow Jersey. Called the Yellow Jersey on British shores, the maillot jaune across the channel (and by hipster-types in the UK who want to sound continental) and, by officials, the General Classification leader, the boyhood dream of any rider is to be wearing yellow at the end of the Tour de France. For a cyclist to don the Yellow Jersey, they must have the lowest cumulative time for all the stages ridden to that point: in other words, they've got to have gotten to that point quicker than anyone else. What this means in practice is that riders hoping to claim the final Yellow Jersey of the race - denoting the race winner - will ride conservatively on most stages, seeking only to roll over the finish line with the other main contenders and not surrender any time to them. The time gaps between these main contenders appear during certain key stages - usually either time trials or those with mountain finishes - where riders will try to eek out a few seconds over their rivals. By the end of 20 stages, each rider hopes, they will have gained enough time in those high-pressure moments to be able to claim the Yellow Jersey for the ceremonial final stage into Paris. The advantage held by Tour winners by the end is typically only a few minutes, or sometimes even seconds. How do you pick a Tour de France winner? 1. Do they have form in three-week Grand Tours? Most races in the cycling calendar are short-lived affairs, lasting only a day or so. Some of the more high-profile competitions last a week. Only the Grand Tours (Giro, Tour and Vuelta), though, ask riders to be at their best for three gruelling weeks. A key question for any punter, then, is whether riders have a track-record of performing at this kind of challenge. 2. Do they have a strong team to support them? A team helps a rider in two main ways. First, the more well-funded a team, the better able they are to put in place all the support - performance coaches, reconnaissance of key stages, nutrition, altitude training camps, accommodation, equipment etc. - that a rider needs to be at their best for three weeks. Second, the stronger the riders in the team, the better able they are to control the pace of the peloton and protect their Yellow Jersey hopeful: delivering supplies to him, chasing down breakaways, and pacing him back to the peloton after any mechanical issues. 3. Are they in-form? This is harder to assess. In recent years, led by the example of Team Sky, riders have sought to demonstrate their building form across the season in preparation races. Conventionally, though, the opposite was true, with riders seeking to hide their form and intentions prior to the main event, only reaching peak form when the Tour started. What seems clear, though, is that whichever approach riders take, the Tour must have been their season aim. Riders who go to France as an afterthought - because of a disappointing Giro, for example - usually bomb. 4. Does the route suit? In our preview about picking a stage winner, we emphasised the importance of knowing the route profile. Well, whilst that is true at a micro, stage level, it's also true at a macro level. General Classification hopefuls need to excel in a variety of environments - time trialing, climbing, descending - but, the extent to which each of these elements is important will vary from year-to-year. An out-and-out climber may be at an advantage in a year with numerous summit finishes, but will struggle in a year with multiple time trial stages. So who will win in 2018? This question seems remarkably tricky, but is, actually, incredibly straightforward. The race appears to be hotly contested, with around 16 riders that can realistically expect to be in contention for the Yellow Jersey. However, one man - Chris Froome - is pre-eminent. He has won four of the last five Tours, is the current holder of every Grand Tour title, has dominated all his rivals in recent years and, after the recent announcement clearing him of any wrongdoing in a long-winded doping case, will be able to focus all his attentions on winning a record-equalling fifth title. The [2.82] currently available looks generous. That's not to say he's a certainty; there are complications. First, he won the Giro, so will need to have recovered and reached his peak again after those exertions. Second, the route of this year's Tour has plenty of beckoning calamity: the cobbles that ended Froome's hopes in 2014 return; the team time trial is always nervy; and there are several potentially explosive stages - most notably Stage 17 - which could see any hopeful capitulating if having an off day. Third, he will only be the co-leader of Team Sky, with Geraint Thomas also having "protected rider" status. In such a strong team, this wouldn't ordinarily cause a problem, but given Thomas was crucial in shepherding Froome through the cobbles of 2015, and seems to have been an ever-present wingman for Froome in his recent Tour successes, it does mean that another rider will have to step in to that role. Who can challenge Froome for Yellow? A huge number of rides deserve a mention. 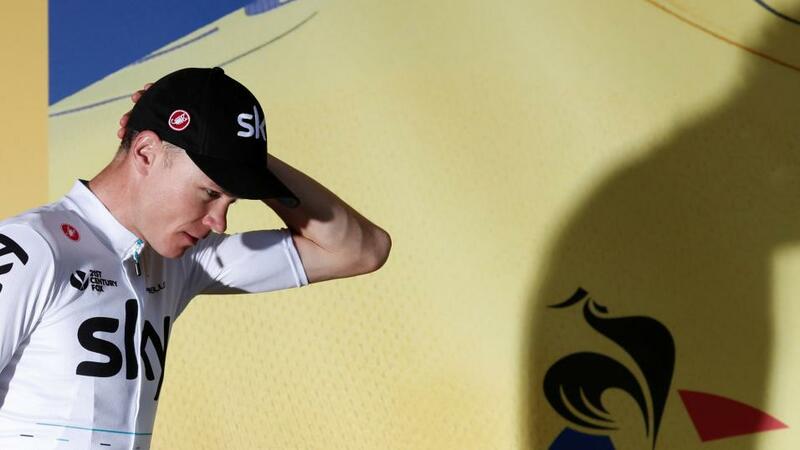 Geraint Thomas ([27.0]) could benefit from the full support of Team Sky should anything happen to Froome. However, despite increasingly looking a capable Grand Tour rider in recent years and winning the Dauphine, a key warm-up race, there remain doubts about his ability to sustain his form over three weeks. Nairo Quintana ([12.0]) burst into many people's consciousnesses in 2013, when winning the White Jersey for best young rider; however, despite going on to win the Giro and Vuelta, he hasn't quite lived up to the initial hype that surrounded him. That's not his fault, of course, and he is still one of the few riders able to trouble Froome on the hardest alpine climbs. He's coming back into form of late, but anyone backing him will have a nervous few weeks. He's often tactically naïve, and will need to avoid the kind of poor decision-making that has cost him significant time in recent Tours. Complicating Quintana's predicament will be the internal competition within Team Movistar. Both Mikel Landa ([14.0]) and Alejandro Valverde ([60.0]) are due to ride, both are worthy Yellow Jersey contenders, and neither will want to play devoted team-mate to Quintana. Landa, especially, will want to play a starring role. As climbing lieutenant to Chris Froome last year, he was shackled by team orders and many thought he was showing the best form of any rider in the race. He moved teams for a big payday in the off-season but has been out-of-form since. How the team dynamics at Movistar work themselves out in the opening week will be crucial in deciding whether Landa has a say in this year's race. Richie Porte ([6.20]) has targeted the Tour all year, won the warm-up Tour de Suisse, and has the strongest support team besides Team Sky. He crashed out last year, though, and doubts remain whether he can sustain his form over three weeks: he's yet to do so. Expect him to be there in every stage, perhaps even in Yellow, but also expect him to lose the race during one off-day. Tom Dumoulin ([21.0]) was many people's favourite for the Giro and looked certain to deliver before Froome schooled him and his rivals on Stage 19 on the Colle delle Finestre. As previewed, riders who arrive at the Tour as an afterthought usually struggle, and we can expect Dumoulin to follow that pattern. Adam Yates ([30.0]) is the third Briton to be previewed who has a genuine chance of winning the Overall Classification - a remarkable testament to British Cycling - and will hope to follow on from the promise his twin-brother Simon showed when dominating the Giro for so long. Whether he can last the three weeks remains an unanswered question, though. His brother didn't manage to in Italy. Romain Bardet ([24.0]) will carry the hopes of France, but the time trials in this year's Tour make it unlikely he will challenge for outright glory. He will likely target stage wins instead. The same target will be in the minds of Steven Kruijswijk ([150.0]), who has been in consistent form this season; Primoz Roglic ([28.0]), who is unproven over three weeks but is an excellent time trialist; Jacob Fulsang ([34.0]), who won the Dauphine in 2017 and is a consistent performer in Grand Tours; and Julian Alaphilippe ([1000.0]), who has the support of the season-dominant Quickstep team and shouldn't be available at such big odds. Those looking for an outsider to challenge Froome, however, would be best to consider one of Rigoberto Uran ([50.0]), Vicenzo Nibali ([30.0]) and Bob Jungels ([260.0]). Uran surprised many last year to be prominent throughout, eventually grabbing second ahead of Bardet. His weakness is his non-existent team: if he's to trouble Froome, he'll be doing it alone. Vicenzo Nibali, winner of the Tour in 2014 and Giro in 2016, is constantly written off as past-his-best by commentators, but then pops up to surprise: most recently when winning Milan-San Remo earlier this year. He remains one of the few riders will the tactical nous to unsettle Froome and Team Sky and should not be ignored. Jungels might be the most interesting, though, at huge odds. He's twice won the Young Rider classification at the Giro and is in good form this year. 2018 might be too soon for him to tackle Froome, but he's as good a chance as any. Given the number of riders who are live contenders, one strategy may be to bet on Over 5.5 riders wearing Yellow. The market remains illiquid, but anything over [2.00] would be a value bet come Saturday 7th July.